The Pakistani Taliban on Friday said they were behind attacks on two military airbases in the country's restive southwest which left 12 militants dead. 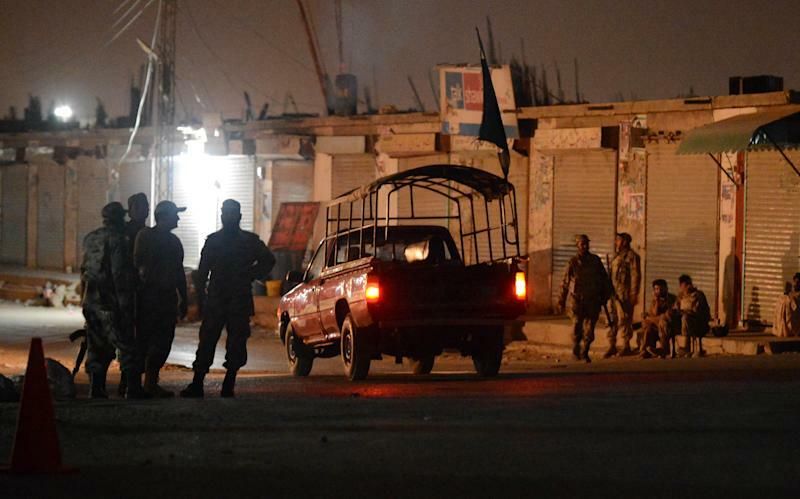 Gunmen armed with automatic weapons, grenades and wearing suicide vests tried to storm the Pakistan Air Force's Samungli airbase and Khalid military airbase, both in the Baluchistan provincial capital Quetta, late on Thursday. It was the third violent episode at Pakistani air facilities in recent months, raising questions about their security. Security forces repelled both attacks after more than nine hours of fighting, Sarfaraz Bugti, the home minister of the insurgency-hit province, said, adding that the militants did not penetrate either base. 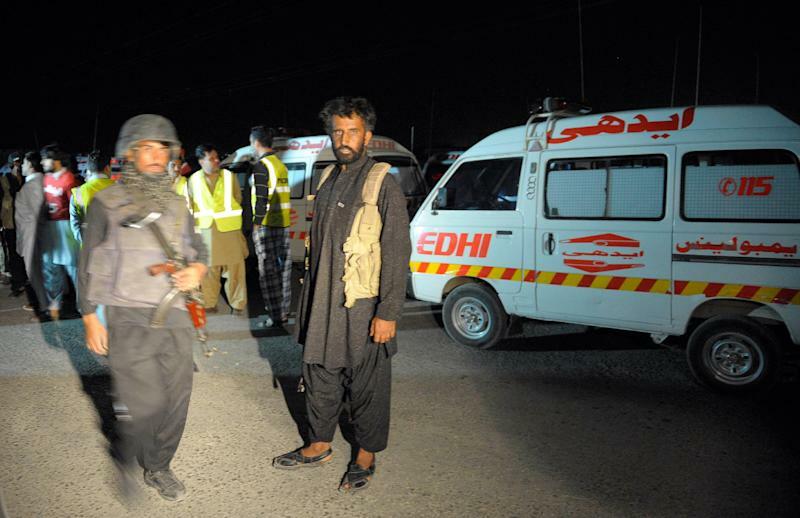 Two different factions of Tehreek-e-Taliban Pakistan (TTP) claimed responsibility for the attacks and said they were a response to the military's ongoing assault on militant hideouts in North Waziristan tribal area. The Fidaeen-i-Islam group initially claimed responsibility in a phone call to AFP from commander Ghalib Mehsud. "The attacks were in revenge to military operation launched against us in North Waziristan," Mehsud said. "We will launch more and bigger attacks on government and military installations." Later Azam Tariq, chief of TTP's South Waziristan chapter and a former chief spokesman for the umbrella group, also claimed responsibility. Lieutenant General Naseer Janjua, the top army commander in the region, told reporters 12 attackers were killed, raising the overnight death toll of nine. Reporters were shown nine corpses and pieces of three bodies of attackers along with the weapons and explosives recovered during the search operation after the attackers were killed or blew themselves up. At least 11 security personnel were wounded, Janjua said. Ahmed said the attackers, wearing suicide vests, arrived in a Suzuki pickup at the rear of the perimeter of Samungli base adjacent to houses and markets and made a hole in the wall. "When security forces engaged the attackers and fired bullets, they blew themselves up," he said. Ahmed said all the attackers appeared to be of Central Asian or Uzbek origin. A senior military official said rockets were fired at Samungli airbase, with two landing inside the perimeter fence. He said no damage was caused. 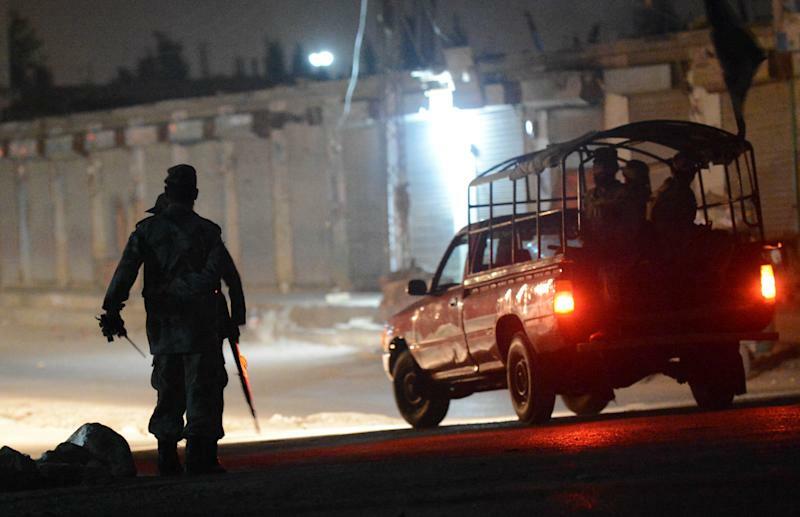 Quetta city's police chief Abdul Razzaq Cheema told AFP that militants first launched an attack on Samungli airbase before targeting Khalid military airbase around an hour later. Police had defused four bombs near the outer wall of Khalid airbase, he said. The Taliban have threatened a bloody response to the military offensive against in North Waziristan but since its launch in June there have been no major TTP attacks. Pakistan launched the offensive shortly after a brazen assault on Karachi airport that left dozens dead and extinguished a largely fruitless peace process. Later that month, gunmen opened fire at a plane landing at Peshawar airport in the country's northwest, killing a passenger and wounding two crew members. The Pakistani Taliban and the Islamic Movement of Uzbekistan claimed joint responsibility for the Karachi airport attack. North Waziristan has become a major base for the TTP, which rose up against the state in 2007, while the United States has long called for action in the area against militant groups targeting NATO forces in Afghanistan. More than 500 militants and 29 soldiers have been killed in the offensive so far, according to the military, though the death toll for insurgents cannot be independently confirmed. Impoverished Baluchistan is wracked by an insurgency waged by ethnic Baluch tribes seeking greater autonomy from the federal government and a greater share of profits from the region's wealth of oil and gas resources. The region has also been hit by attacks blamed on Taliban militants.